It’s the blu­e­ber­ry sea­son again. The litt­le blue fruit that are so very healt­hy are now being har­ve­sted. This arti­cle pro­vi­des inte­res­ting infor­ma­ti­on about gro­wing blu­e­ber­ries, tog­e­ther with some use­ful tips. In recent years, blu­e­ber­ries have tur­ned into a pro­fi­ta­ble spe­cial crop with gro­wing mar­ket poten­ti­al on account of con­stant­ly rising con­sump­ti­on rates. Blu­e­ber­ries are play­ing an increa­singly signi­fi­cant role par­ti­cu­lar­ly when it comes to con­tai­ner cul­ti­va­ti­on sys­tems. They are plan­ted in green­houses and plastic tun­nels as well as field crops, with a mar­ked increa­se in the use of peat-based gro­wing media. Major varie­ties of blu­e­ber­ries for com­mer­ci­al hor­ti­cul­tu­re today inclu­de Vac­ci­ni­um corym­bo­s­um, known as the Ame­ri­can blu­e­ber­ry, tog­e­ther with the rab­bit-eye blu­e­ber­ry (Vac­ci­ni­um ashei) and the sou­thern high­bush blu­e­ber­ry (Vac­ci­ni­um corym­bo­s­um x Vac­ci­ni­um ashei). A mix­tu­re of rai­sed bog peat, per­li­te and/or sand is sui­ta­ble for roo­ting cut­tings in trays, boxes and pots. The sub­stra­te needs a pH (CaCl2) of 3.8 – 4.5 plus trace ele­ments, but no NPK fer­ti­li­ser during this pha­se. The roo­ting pha­se lasts 8 to 15 weeks depen­ding on the par­ti­cu­lar varie­ty. The roo­ted cut­tings are repot­ted from the trays or pots into 2 to 5 lit­re con­tai­ners or plastic bags. Substrates recom­men­ded for this sta­ge con­sist in a mix­tu­re of medi­um-tex­tu­red white peat, frac­tions of sod-cut peat, GreenFibre wood fibres and hydro­solub­le NPK fer­ti­li­ser with trace ele­ments. A later liquid fer­ti­li­sing stra­te­gy or the use of slow-release fer­ti­li­sers is also necessa­ry. New plan­ta­ti­ons are set up using tree nur­s­e­ry plants that are two to three years old. Trench sys­tem: this tra­di­tio­nal cul­ti­va­ti­on sys­tem con­sists of a trench mea­su­ring 80 to 100 cen­ti­me­tres in width and 40 cen­ti­me­tres in depth, fil­led with white peat or a pre-mixed peat-based sub­stra­te. Plan­ting in the trench sys­tem is usual­ly done in the autumn. Ridge sys­tem: here a lay­er of sub­stra­te is built up to a height of 80 cen­ti­me­tres on the exis­ting top­soil. The rid­ges have to be wate­red rela­tively often and regu­lar­ly as they tend to dry out more quick­ly. The advan­ta­ge of the ridge sys­tem is that the sub­stra­te heats up fas­ter, thus per­mit­ting an ear­lier har­vest. Con­tai­ner cul­ti­va­ti­on: this is a pure­ly sub­stra­te-based cul­ti­va­ti­on sys­tem. 25‑litre con­tai­ners can be used for cul­ti­va­ti­on in the green­house. Con­tai­ners used for crops grown in the field have a volu­me of 80 to 100 litres. 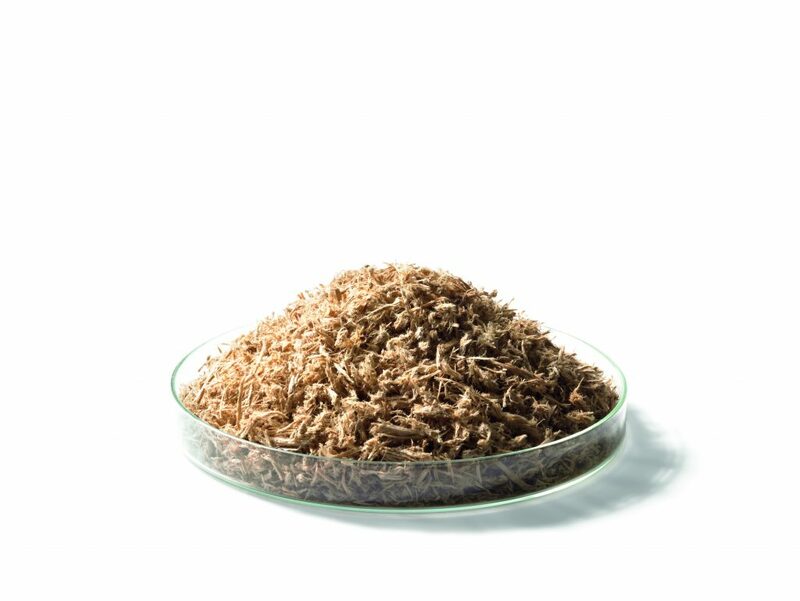 Cul­ti­va­ti­on sys­tems such as tren­ches and rid­ges usual­ly use pure peat or a peat-based sub­stra­te. Substrates with a 25% sha­re by volu­me of GreenFibre have pro­du­ced excel­lent results. Peat-based substrates with a coar­se tex­tu­re are usual­ly cho­sen for cul­ti­vat­ing blu­e­ber­ries in con­tai­ner sys­tems. Here again it is advi­s­able to opt for a sub­stra­te with a 25% sha­re by volu­me of GreenFibre. The wood fibres opti­mi­se drai­na­ge and fos­ter sym­bio­sis with mycorr­hiz­al fun­gi. A regu­lar later liquid fer­ti­li­sing stra­te­gy is nor­mal for con­tai­ner crops. A low con­cen­tra­ti­on of hydro­solub­le NPK fer­ti­li­ser with main and trace nut­ri­ents is given at regu­lar inter­vals throughout the who­le vege­ta­ti­on peri­od. In addi­ti­on, basic fer­ti­li­sa­ti­on with slow-release fer­ti­li­sers such as Osmo­cote or Basa­cote war­rant an opti­mum sup­ply of nut­ri­ents even when it rains hea­vi­ly. Later fer­ti­li­sa­ti­on as top dres­sing is also pos­si­ble in the spring. In this case, 30 grams of slow-release fer­ti­li­ser per plant – las­ting for a peri­od of 5 to 6 mon­ths – are app­lied to the sub­stra­te sur­face.